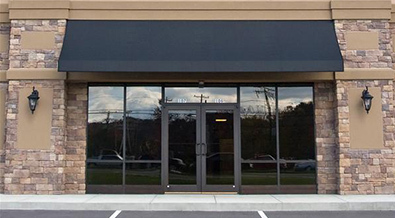 We specialize in an all glass system or aluminum frames for commercial and retail storefronts. All glass system are the perfect choice for an interior application that will help your store to stand out. We offer a complete solution from designing, engineering, fabrication and professional installation service. Our systems are so versatile that even home owners architect can utilize it in a residential projects. We offer range of profiles and hardwares and finishes that will make your home to stand out. Contact us today and let us assist you in finding the right solution for your project. 2″ x 4-1/2″ is a thermally broken flush-glaze system. 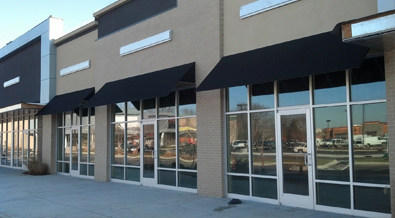 This system is ideal for low-span storefront framing and entrances. 1-3/4″ x 4-1/2″ is a non-thermally broken frame ideal for interior vestibules and partitions. The flush-glazing design does not require mechanical fasteners to secure glass in place. The narrow profile and pocket glaze design ensures your project maximizes vision area.